Zippered carrying case with detachable external pouch. 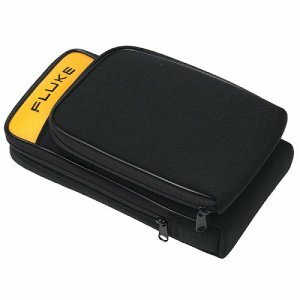 Additional pouch is designed to carry test leads and probes. Convenient belt loop accommodates tool belt.